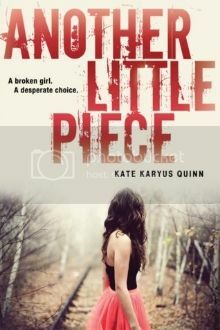 Goodreads Summary: The spine-tingling horror of Stephen King meets an eerie mystery worthy of Sara Shepard's Pretty Little Liars series in Kate Karyus Quinn's haunting debut. I love the pitch for this book, and I'm really curious to see what actually happened to the real Annaliese Rose Gordon. oh man, you are in for a crazy ride! I just read this last week and it was CRAZY! but in a good way. I enjoyed it SO MUCH but be prepared to be mind blown! this is an awesome pick. Nice! I've been seeing this one around lately! Like the cover too for some reason! I guess because it has that mysterious vibe!